Oppo, soon after launching the R7s smartphone in Dubai last week, has now introduced the all-new Neo 7. The smartphone is now listed on the company site with no details about pricing and availability. We can expect the company to soon announce the details about the Neo 7 smartphone in the coming days. Notably, the listing page on the company site also lists an India version of the Oppo Neo 7, detailing support for Indian 4G LTE bands. Running Android 5.1 Lollipop with the company’s custom ColorOS 2.1 skin on top, the Oppo Neo 7 features a 5-inch qHD (540×960 pixels) TFT display. The smartphone is powered by a quad-core Qualcomm Snapdragon 410 (MSM8916) processor clocked at 1.2GHz coupled with Adreno 306 and 1GB of RAM. The handset will come with 16GB inbuilt storage and will support expandable storage via microSD card (up to 128GB). For camera, the Neo 7 sports an 8-megapixel rear camera with flash and also came with 5-megapixel front-facing camera. It supports dual-SIM cards with one Micro-SIM and another Nano-SIM. Apart from 4G, connectivity options include Wi-Fi 802.11 b/g/n, Bluetooth 4.0, Micro-USB, 3G, and GPS. 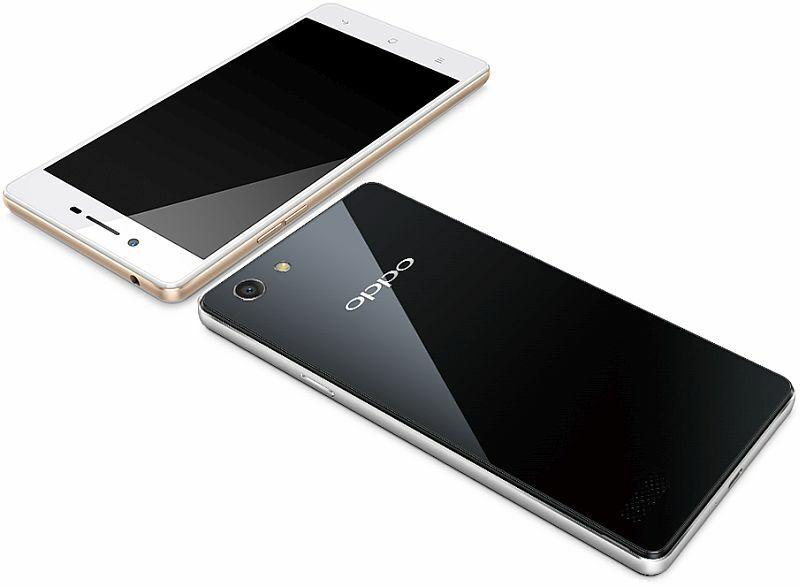 The Oppo Neo 7 packs a 2420mAh non-removable battery and is listed in Black and White colours. It measures 142.7×71.7×7.55mm and weighs 141 grams. The company listing touts that the Neo 7’s screen lights up to brighten selfies in low light condition which is possible with a light-sensitive sensor that can adjust the screen brightness according to available light. Last week, Oppo unveiled its new R7s smartphone and announced that it will launch first in Australia followed by other markets including Singapore and Taiwan. The 4G dual-SIM based Oppo R7s features a 5.5-inch full-HD (1080×1920 pixels) Amoled display with Corning Gorilla Glass 3. The handset comes with hybrid SIM slot that supports a Micro-SIM and a Nano-SIM card (which can be replaced with a microSD card). Under the hood, the Oppo R7s is powered by an octa-core Qualcomm Snapdragon 615 (MSM8939) coupled with 4GB of RAM and Adreno 405 GPU.